Camp sites – Shoestrings Backpackers, Victoria Falls Rest Camp, and Adventure Lodge: These places are within 2kms from the Victoria Falls entrance, which means that you can walk to the falls if you are up for it. They are also very close to the conveniences found in town. Guest Lodges – Amadeus Guest House, Lorries B & B, Pamusha Lodge, Bayete Guest Lodge, and Livingstone Lodge: These are basically in the same area, in the quiet low density area between 3 and 5kms from the Victoria Falls Rainforest. You can walk into town or organise a local taxi for transportation although one of the lodges have a paid shuttle service. 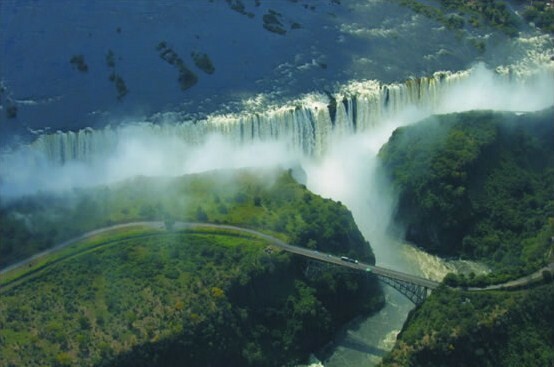 Hotels – Ilala Lodge, Kingdom Hotel, Victoria Falls Hotel, Cresta Sprayview Hotel, and Rainbow Hotel: The closest of all lodgings in Victoria Falls to the World Heritage Site are Ilala Lodge and Kingdom Hotel. There are other hotels which aren’t as close, but provide complimentary shuttle services so that guests can get into town if they wish. Activity operators do pick up from these hotels as well. Self Catering Lodges – Lokuthula Lodges, 662 Reynard House, and Victoria Falls Rest Camp: These lodgings are in different places, the closest to the Vic Falls being the Rest Camp. Lokuthula Lodge is the furthest from the Victoria Falls, but a complimentary shuttle service is available to guests. From 662 Reynard, you would need to hire a local taxi, but for your activities, the operators will pick you up from the house. Safari Lodges are basically located outside of town, and at least 10kms away from the Victoria Falls Rainforest Entrance. Activity operators do not pick guests up from these lodges, but some do have a shuttle which goes into town.